The host was very nice. The property was having a very good location for us, close to the city center but also close to Punta Corrente and the beaches there. The hosts were very welcoming and our apartment was huge! Très bon accueil. Les propriétaires sont très sympas, et veulent mettre leurs hôtes dans les meilleures dispositions possibles. Čisto stanovanje z dvema balkonoma, velikimi sobami in popolno opremljeno kuhinjo. Apartma je v bližini lepe plaže ter mesta (13min). Nahaja se v umirjeni soseski, le 5min od Konzuma. Tudi lastnica jw zelo prijazna in ustrežljiva. Priporočam! Casa super accogliente e i gestori molto gentili e disponibili, il tutto a pochi passi da spiagge e centro storico della bellissima cittadina di Rovigno. Posizione ottima a 10 minuti di cammino dall'incantevole parco di Punta Corrente e a 20 minuti dal centro di Rovigno. Proprietari gentilissimi e premurosi, appartamento confortevole e ben attrezzato in zona molto tranquilla. Consigliato. Posizione ottima vicini sia al centro che al mare e proprietari una famiglia molto cortese e disponibile! La proprietaria è molto gentile e disponibile. Noi eravamo in 6 persone, l’appartamento è molto grande e spazioso. Buona posizione per raggiungere sia il centro di Rovigno che il mare. Located in Rovinj, a 9-minute walk from Punta Corrente Park, Apartments Nina provides accommodations with air conditioning and access to a garden. Free WiFi is available. All units come with a seating area, a TV and a fully equipped kitchen. Some units have a terrace and/or a balcony with garden or city views. Rovinj Marina is 0.8 miles from Apartments Nina. The nearest airport is Pula Airport, 24 miles from the property. 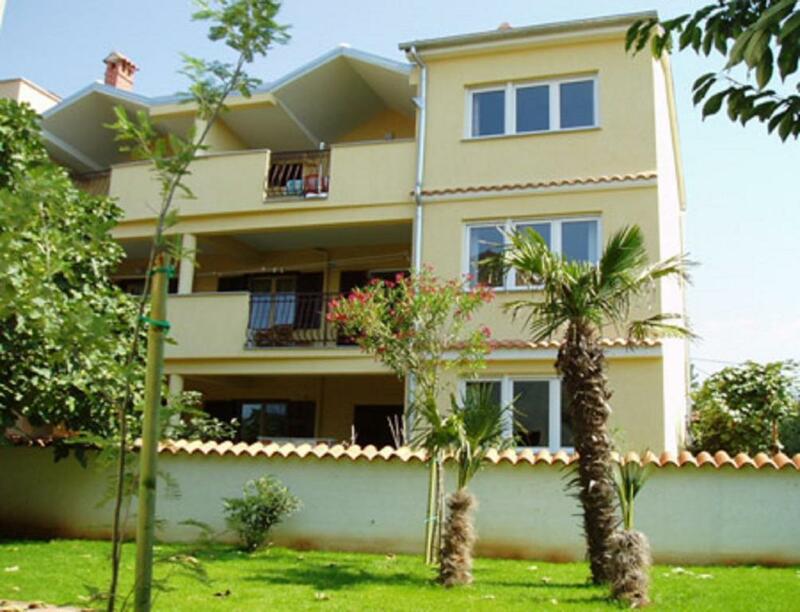 뀐 Located in the top-rated area in Rovinj, this property has an excellent location score of 8.9! Featuring a private entrance, this air-conditioned studio includes a fully equipped kitchen, bathroom and a private furnished garden. Our private accommodation is characterized by long tradition, excellent location, very comfortable apartments and hospitable hosts. We are a family that has long tradition in providing private accommodation services. We make continuous efforts that our guests feel well at our house and we always remain at your disposal. We will be the happiest if you decide to come back to us or recommend us to your friends! You are welcome to visit us! Our location is very popular among tourists as it is very quiet and calm area, very close to the beautiful park forest Punta Corrente (Golden Cape or Zlatni rt) on one side, where are located the best beaches in Rovinj, as well as very close to the city center on the other side, and both you can reach on foot. So you even do not need to use the car. The air conditioning was smelling bad and we could not use it because of this. The bed creaked too much.